Durable Power of Attorney: Is Yours Legal? The holidays mean spending time with your family. While everyone is in the same place, this is one of the best times to get your legal documents in order. One of the documents that everyone should have is the Durable Power of Attorney (POA). Think you already have a POA in place? You might want to take another look. The laws changed in 2014, AND there’s another change that takes effect in January of 2016. 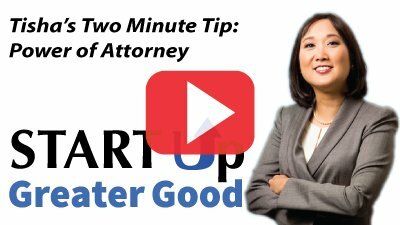 Watch Tisha’s two minute tip – where she explains what’s changed and what you need to do to make sure you have an up to date, legally recognized, POA.